Inductive There are 6 products. Inductive sensor M12, 45 mm length, the maximum gap of 2 mm. 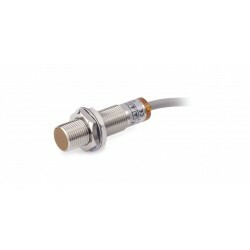 Inductive sensor M12, 45 mm length, the maximum gap of 4 mm. Inductive sensor M12, 63 mm length, the maximum gap of 2 mm. Inductive sensor M12, 63 mm length, the maximum gap of 4 mm.